Olivia Claire Otto and Alek John Kawczynski have been selected as semifinalists in the 2018 National Merit Scholarship Competition. From left to right: Principal Charles Klaus, Alek John Kawcyznski and Olivia Claire Otto. 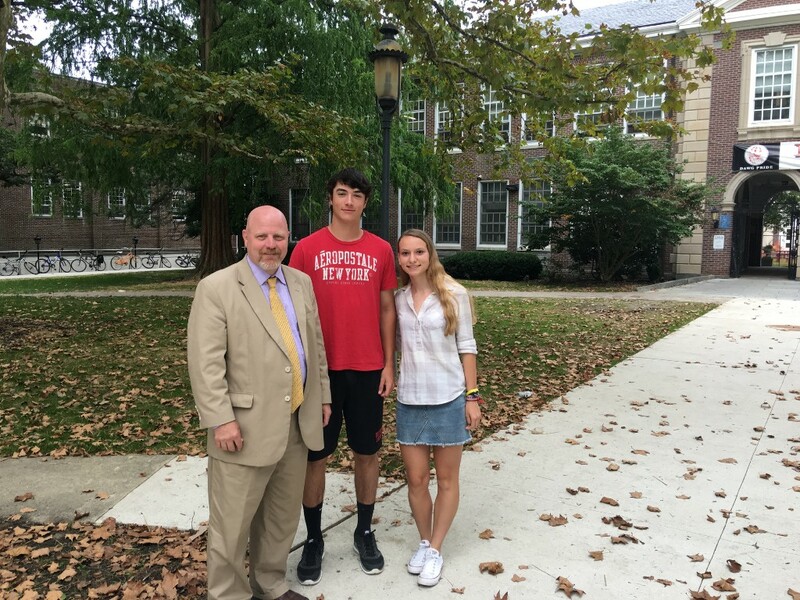 Haddonfield Memorial High School students Alek John Kawczynski and Olivia Claire Otto have been selected as semifinalists in the 2018 National Merit Scholarship Competition. More than 1.6 million juniors in over 22,000 high schools entered the 2018 National Merit Scholarship Program by taking the 2016 Preliminary SAT/National Merit Scholarship Qualifying Test (PSAT/NMSQT). The nationwide pool of semifinalists, representing less than one percent of U.S. high school seniors, includes the highest scoring entrants in each state. The number of semifinalists in a state is proportional to the state’s percentage of the national total of graduating seniors. From the approximately 16,000 semifinalists, about 15,000 semifinalists are expected to advance to the finalist level and in February they will be notified of this designation. All National Merit Scholarship winners will be selected from this group of finalists. Merit Scholar designees are selected on the basis of their skills, accomplishments and potential for success in rigorous college studies.